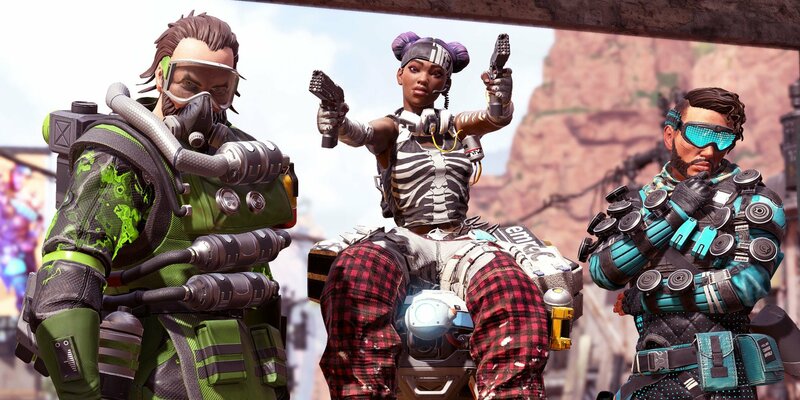 The Apex Legends 1.1.1 update is now live, bringing with it a wealth of changes and improvements. In the patch notes, there are a few notable items to keep in mind, including balances to Legends such as Gibraltar, Pathfinder, and Caustic. With the balance changes in place, both Caustic and Gibraltar will have a new Passive Perk added called Fortified. In order to improve the hitbox issues, Fortified aims to reduce damage taken by 10% for both Gibraltar and Caustic. Meanwhile, weapon balancing has also been focused on in the 1.1.1 update for Apex Legends, with changes including leg shot damage reduction on sniper category weapons. For more on the latest changes to Apex Legends, read on for the full 1.1.1. update patch notes! The patch notes for the 1.1.1 update reflects balance adjustments to Legends and weapons in Apex Legends. Fortified Passive Perk added. Reduces damage taken by 10%. Gas Damage per tick increased from 1 to 4. Ultimate Throw distance increased from 28 meters to 33 meters. Gun Shield health increased from 50 to 75. Lowered leg shot damage reduction from 25% to 10%. Reduced base weapon sway by about 33%. Reduced base sway speed by about 25%. Increased fire rate from 1.2 to 1.6. Increased magazine size Base mag increased from 5 to 6 rounds. Common mag extender increased from 6 to 8 rounds. Rare mag extender increased from 8 to 10 rounds. Epic mag extender increased from 10 to 12 rounds. Increased base magazine size from 25 to 32 rounds. Charge Beam Reduced cost per shot from 5 to 4. Increased close range damage from 55 to 60. Increased damage at range from 45 to 50. Close range damage falloff increased from 35m to 75m. Ranged damage falloff increased from 75m to 125m. Reduced magazine size Base mag reduced from 6 to 4 rounds. Common mag extender reduced from 8 to 6 rounds. Rare mag extender reduced from 9 to 8 rounds. Epic mag extender reduced from 12 to 10 rounds. Reduced base damage from 20 to 18. Common mag extender reduced from 45 to 40 rounds. Rare mag extender reduced from 55 to 45 rounds. Epic mag extender reduced from 60 to 55 rounds. 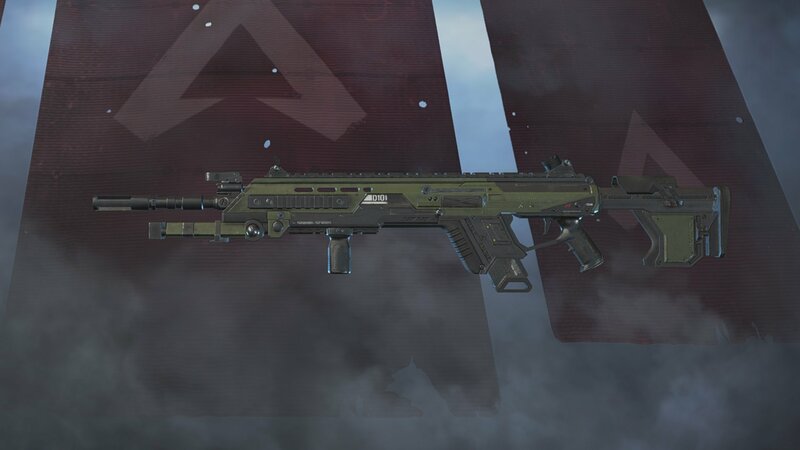 Adjustments have been made to weapons like the Longbow as well as Gold weapon attachments in Apex Legends. Now has 1x-2x variable holo site. Starting on April 16 at 10 a.m. (PST) and running until April 18 at 10 a.m. (PST), your first Top 5 of the day (where your squad places 5th or better in a match) grants you 1 full bonus Battle Pass Level (29,500 BPP) up to a max of level 110. Can be earned once per day. Increased the speed of the ship by about 50%. Overall, there's a lot to take in after reading the 1.1.1 patch notes for Apex Legends. Key changes include balance improvements to Legends like Caustic, Gibraltar, and Pathfinder whose hitboxes had previously been a bit wonky. While Respawn has been working to improve the hitboxes for each of these Legends, it's nice to see they've also added a new Passive Perk in the form of Fortified which also reduces some of the damage they take. Respawn has noted they'll be keeping an eye on this and making additional tweaks as necessary, which means that if this causes any other balance issues, you can expect it to be addressed in a timely manner. For more info on the 1.1.1 patch notes, be sure to read through the full update post on the Apex Legends subreddit! Now that you know the changes and improvements added to Apex Legends in the 1.1.1 update, why not check out some of our other guides including how to play Bloodhound in Apex Legends, where to drop to find the best loot in Apex Legends, and how to use Crafting Metals in Apex Legends.